I like it when things aren’t complicated. Chocolate chips. Condensed Milk. Vanilla. That’s it. Just melt them together and let the kids stir, stir, stir. 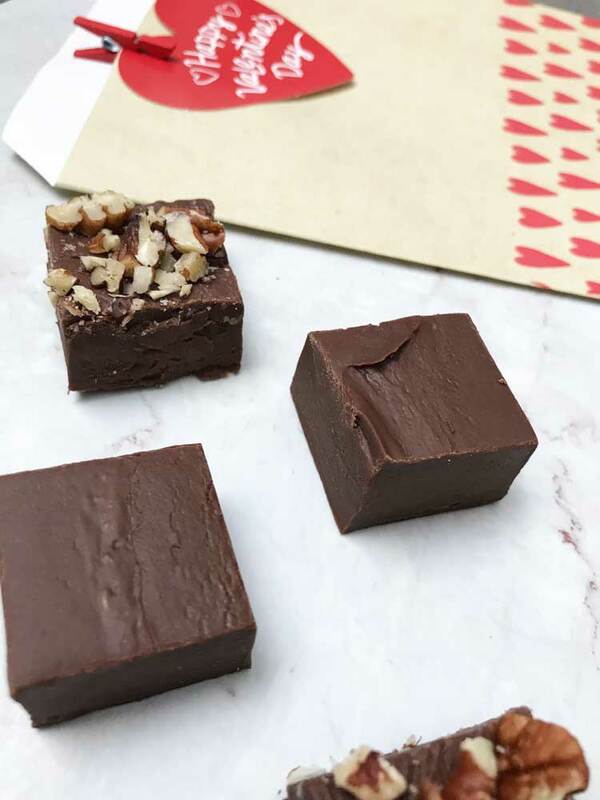 This fudge is creamy and rich and the perfect sweet for your sweet. It’s great on it’s own but also good with a sprinkle of nuts. 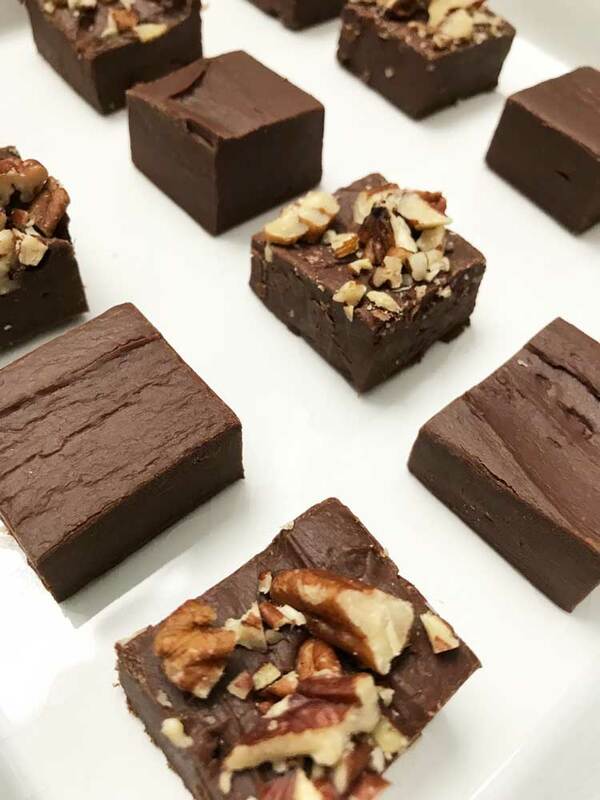 Looking for more homemade sweet treats. Try these! 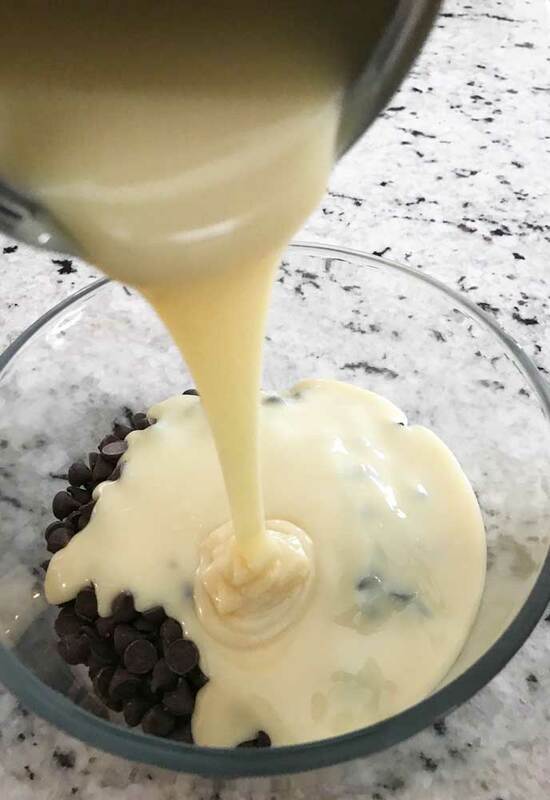 In a glass bowl, add the chocolate chips and condensed milk. Add a splash of vanilla and stir. Once everything is incorporated, pour into a parchment lined 8" x 8" pan. If using nuts, sprinkle on top. Let cool in the fridge before cutting into pieces.